Without leading you on, I’ll tell you from the beginning: The absolute best strategy to build your wealth is to actually keep what you make. The first way to do this is easy. Just follow the simple rule of not spending more than you make. The second way is a bit harder, but it has a MASSIVE effect. Lower your tax burden as much as you possibly can. These two strategies are essentially the same. Just make sure that you have more coming in than going out. The problem is that one of those is easy and one can be very difficult. It’s easy to not spend money. It may take some discipline, but it’s 100% up to you what you spend. Taxes, on the other hand, are a different story. 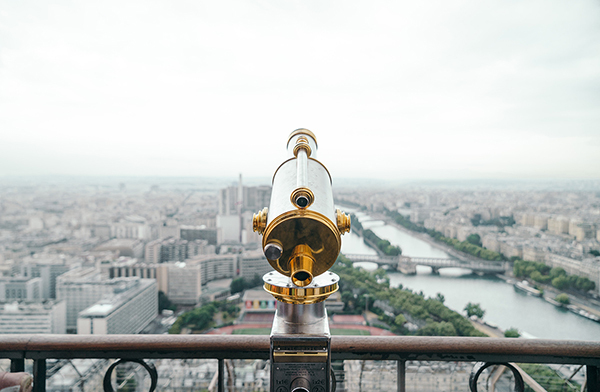 Depending on where you were born, where you currently live, and where you derive your income from, you may be in a situation that is very difficult to become tax efficient. For example, US citizens can actually have it pretty tough when it comes to their tax burden. Yes, it’s true that the US is probably the best country in the world to become successful. But it’s also true that it’s the only country in the world to tax its citizens on worldwide income. For US citizens, you can’t simply move to a different country and set up a business and leave behind the US. You still have an obligation to pay US taxes, even though you might not even be living there. Talk about a burden! Citizens of other nations have the option of moving to almost anywhere in the world, and only have the obligation of paying taxes in the location that they reside. Makes sense, right? Pay taxes for what you use. However, there is a new option for US citizens. And it may be more attractive than any other option in the world, regardless of what passport you hold. In fact, it might be better than moving to the traditional ‘tax havens’ like Panama, Monaco, or the Bahamas. I’ll tell you why in just a moment. First, I want to show you the power of building wealth without a tax burden. We’ve all seen the power of compounding. But, have you seen what happens when you impose a 25% annual tax (which is a very normal tax rate for most people)? 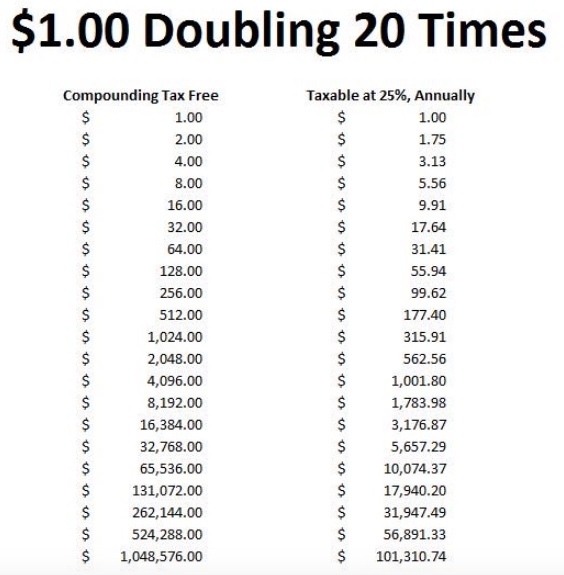 Now, this is an extreme example, because it assumes a doubling, or 100% gain, each year. But, the end result has a difference of nearly $1 million. That’s a lot of money. A more realistic way to look at this, is to look at how a tax deferred investment account works. 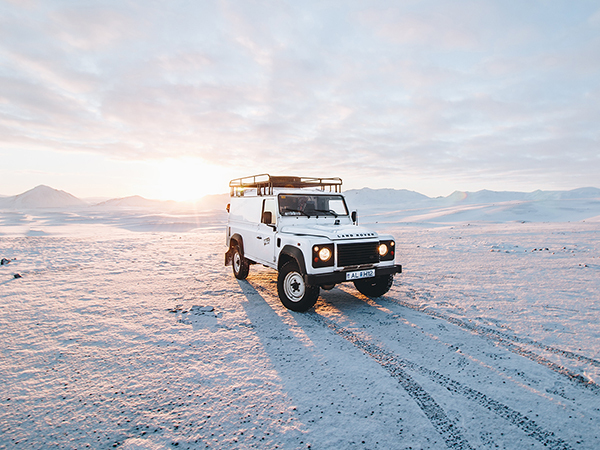 In the US, these accounts are known mostly as an IRA (there are a variety of different options). 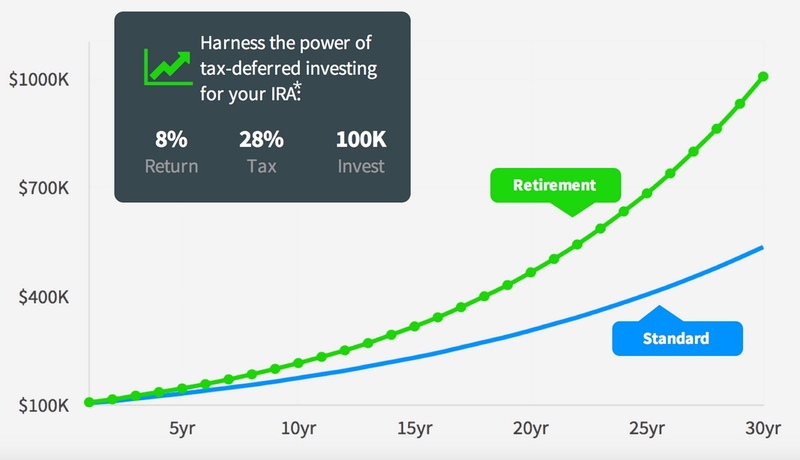 From this chart, you can clearly see the power of putting your money into a tax free account. It grows much faster than an account that has annual taxes. While this is a great option for many investors, I actually am not a strong supporter of these types of accounts. Essentially you are making a huge bet on the future of a system (a government) that historically continues to levy more taxes and more regulations on its citizens. And, conveniently, the entities that hold your money in your IRA account get to do all kinds of investments with your money and charge all kinds of fees. If you have any doubts or disagree with this, I strongly encourage you to take a deep look into the management fees, special charges, and financial engineering that goes into creating fees for individual’s retirement accounts. Do you think banks are investing your money because they truly care about your retirement? Or do you think they are trying to line THEIR pockets while leveraging YOUR money? For the average person who is looking to put away money for retirement, then it may be a good option. But, if you have even the slightest bit of investment knowledge, you should really look at what you’re getting. Personally, I’d rather have access to my money now and have complete control. So, if you’re not going to put your money into a tax efficient vehicle, then what options do you have? If you’re a US citizen, you can move to Puerto Rico. I’ve already told you about how Puerto Rico is an interesting investment opportunity without the tax incentive. Because of their huge debt issues and the recent hurricane damage, the island is at rock bottom. Real estate is selling on the cheap and opportunities are everywhere. Now, if you throw in some tax incentives, things start to get VERY interesting. – You must live in Puerto Rico for more than half of the year. – You pay 0% taxes on interest, dividends, and capital gains. Now, for many people who work at a job where they have a paycheck and must show up at the office everyday, this is not an option. But… if you derive income from your investments, you’re an investor/trader, or you own your own business, this could be the best possible opportunity you will ever see. That seems pretty attractive to me! And, as I told you yesterday, Puerto Rico is a US territory. This is not some random island in the middle of the Caribbean that has no connections. If you’re a US citizen, you don’t even need a passport to travel there. Now, there are obviously a lot more details to this. And that is why we are going to Puerto Rico in April… and you can join us! We’ll be there April 24, 25, and 26. On the 24th, we’ll hear from some government officials, lawyers, and business owners. They’ll explain to us how we can specifically take advantage of what is happening in Puerto Rico. On the 25th, we’ll hear from a couple of case studies as well as hear from some real investment opportunities. Then, we’re going to physically look at some real estate. Oh, and we’ll be having dinner every night together. And, of course, we’ll be staying at a beach side hotel that has a full resort. I was just there last week… it was awesome. We already have lots of Explorer Partnership members confirmed. If you’d like to join us, do not wait. We are already getting low on our hotel room block.